Graduates, consult with us regarding your first car. 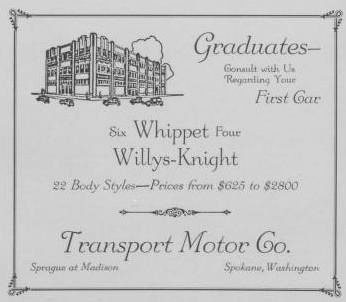 Six Whippet Four Willys-Knight. 22 body styles - prices from $625 to $2800.